Smoke your way to better health? It’s about to get a little tougher for U.S. teens to buy tobacco products. The federal government issued warning letters to 55 national chains, specialty stores and online shops in September in the first of a series of actions aimed at preventing stores from selling tobacco to minors. The warnings are designed to enforce regulations finalized in May that make it illegal to sell newly regulated tobacco products to minors, including electronic cigarettes, hookah tobacco and cigars. The popularity of these products has soared among adolescents. The number of minors who smoke e-cigarettes rose a full 900 percent between 2011 and 2015, according to a report from the Centers for Disease Control and Prevention and the Food and Drug Administration. The trend concerns public health officials because nicotine poses health risks to the developing brain. “Checking for tobacco retailer compliance with current public health policies, and enforcing penalties to retailers who are non-compliant, is one component of effective and comprehensive tobacco prevention,” said Allison Myers, co-founder of countertobacco.org and executive director of Counter Tools. So how do the new regulations prevent e-cigarettes and other tobacco products from reaching minors? The FDA regularly conducts compliance checks by sending minors into stores to attempt to buy tobacco from vendors. If a minor successfully buys tobacco, the FDA will issue a warning letter to the vendor. The FDA can issue fines that get larger with each repeated offense. After up to five letters, the FDA can issue a no-tobacco-sale order, which prevents the store from selling tobacco for a certain time period, or at all. “Retailers play a vital role in keeping harmful and addictive tobacco products out of the hands of children and we urge them to take that responsibility seriously,” FDA spokesman Michael Felberbaum said in an email. The FDA has conducted more than 660,000 such compliance checks since the Tobacco Control Act was passed in 2009. The law grants the FDA power to regulate distribution of tobacco. In May 2016, the FDA finalized a rule extending this control to e-cigarettes, hookah tobacco and cigars. The upshot has been nearly 50,000 warning letters and more than 8,200 fines for breaking the law. 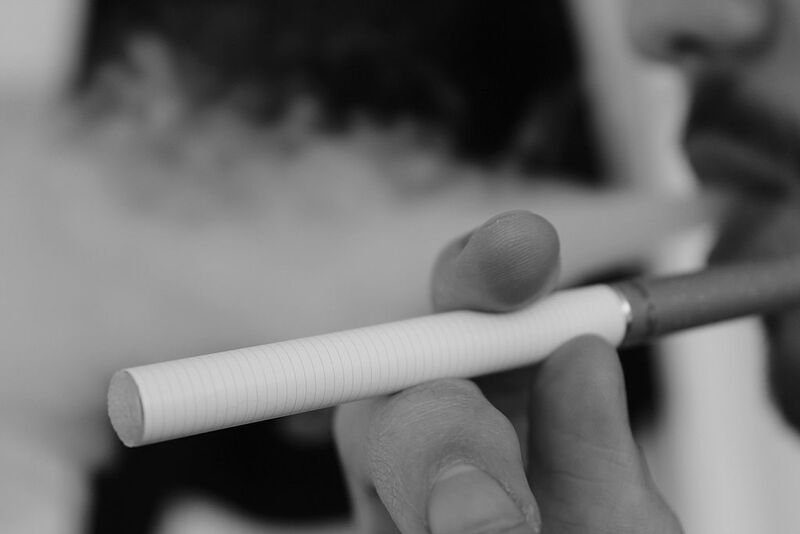 Whereas the first fine is lower, repeat violations can make the penalty snowball up to roughly $10,000, a significant sum for most retailers, said Joseph Lee, a tobacco researcher at University of North Carolina School of Medicine. The updated FDA regulations now apply to online vendors too, said Rebecca Williams, an expert in online tobacco sales at the University of North Carolina Lineberger Comprehensive Cancer Center. But for now, most vendors are not taking measures to comply. “In online tobacco sales, years of research has shown that the overwhelming majority of vendors rely on age verification methods that cannot possibly prevent sales to minors,” Williams said. Online sales to minors could be better prevented if retailers were required to verify customers’ information through public databases (eliminating the problem of kids using their parents’ identification), or ask a challenge question to confirm the customer’s identity, according to Williams. “With active and strict enforcement of FDA’s new regulations, and careful attention to how vendors may adapt to avoid complying with the regulations, online tobacco sales to minors will be greatly diminished, if not eliminated,” she said. There are other areas where the FDA could improve their compliance checks as well, Lee said. Minors sent in to attempt to purchase tobacco are dressed more formally than typical children, he said, and they are instructed to ask the vendor a prepared phrase, like “May I buy a pack of Marlborough’s please?” These behaviors can signal that the store is being inspected and hinder the enforcement program’s success. Although marketing does not fall under the regulations being discussed, it’s another avenue that needs attention, Lee believes, since advertising plays a significant role in influencing whether children and adolescents purchase e-cigarettes. The tobacco industry spends, on average, about $1 million an hour on advertising and marketing at the point of sale. Tobacco products can be marketed in flavors that appeal to young people, such as cotton candy, gummy bear and bubble gum, Lee said. They can also be placed strategically next to regular grocery items. “How tobacco products are sold in stores is probably going to be increasingly important in how we limit the exposure of youth to tobacco products,” Lee said.